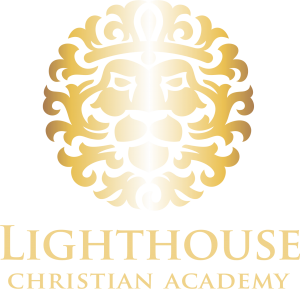 An affordable, fully accredited, private school in Dawsonville, GA.
Lighthouse Christian Academy, a private school and a ministry of Lighthouse Baptist Church in Dawsonville, Georgia serves grades K4-12. We use Abeka Christian School materials, in traditional classroom settings. Our elementary, middle, and high school teachers hold qualified degrees, have strong Christian character and a passion to guide students to realize their God-given potential. Early enrollment for the 2019-2020 school year is open. You can scheduled a school tour or meeting with our principal below. Click here to download the 2019-20 student handbook. We are offering an extremely competitive tuition rate - $4,200 per year for the first student for Lighthouse Baptist Church members and a non-member tuition rate will be $5,000 per year. We have a multi-student discount available for all families with multiple students. Activities and electives will include sports, media, foreign language, music, drama, yearbook, newspaper, home economics, field trips, senior trip, dual enrollment, potential mission opportunities and more. Click the link below to download the 2018-2019 Lighthouse Christian Academy school calendar. Want to Take a School Tour or Schedule an Appointment? If you are interested in an application please fill out this form and submit. 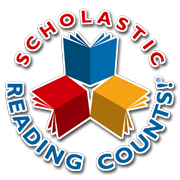 We will send a copy of the application which includes our Informational Letter, Student Conduct Agreement, Parent Statement of Cooperation, Transcript Release Form, Enrollment Checklist, Admission Policy, Tuition Policy and Application for Enrollment. We are happy to answer any questions that you may have or assist in whatever way possible. Please feel free to call, email or message us anytime, or, set up an in-person appointment with our staff. If you would like a copy of our 2019-20 student handbook you may click here to download (pdf). This iframe contains the logic required to handle Ajax powered Gravity Forms. No spam. No mailing lists. After you get your packet we'll follow up with a call or email a few days after. That's it. We are looking for talented individuals with a passion for teaching to partner with us at LCA. Click here to download an employment application. Completed applications can be mailed or dropped off at our office at the address in the section below or emailed to office@lcadawsonville.com. Our office hours are 8:30am – 2:30pm Monday through Friday. We can be reached through phone, email or Facebook message. If you would like to setup an appointment to talk with our administration or to take a tour of the school please click here to schedule that appointment. Our address is 329 Harmony Church Road, Dawsonville, GA 30534. We've partnered with our local business and national non-profit partners to raise additional funds for our school. A quick and easy way to support Lighthouse Christian Academy is to register your rewards card or link your account with these partners and a portion of your normal shopping budget will go towards LCA. It's a one time registration process. All Rights Reserved. Copyright Lighthouse Christian Academy 2018.